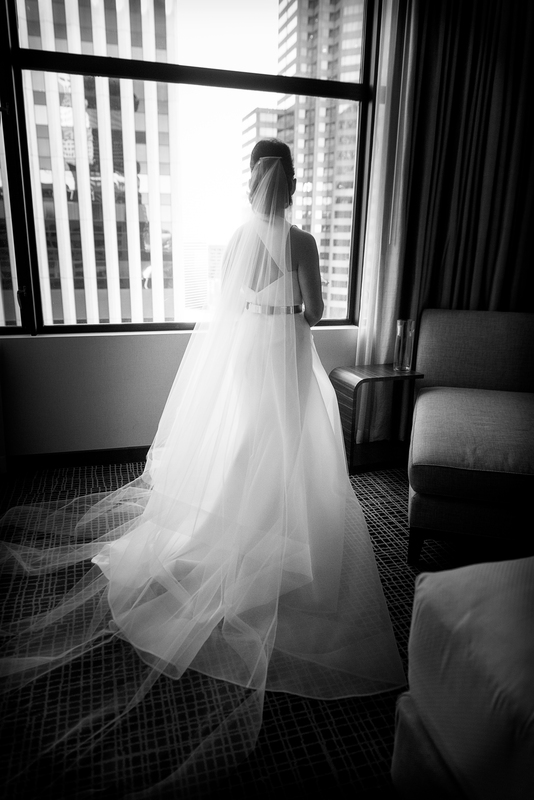 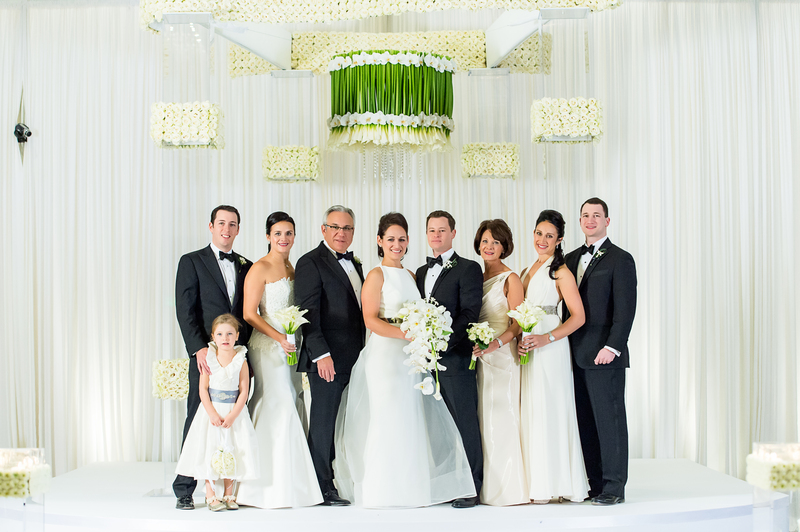 Lisa knew she wanted a clean, modern aesthetic to be woven throughout the entire wedding weekend celebration. 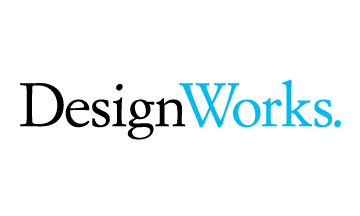 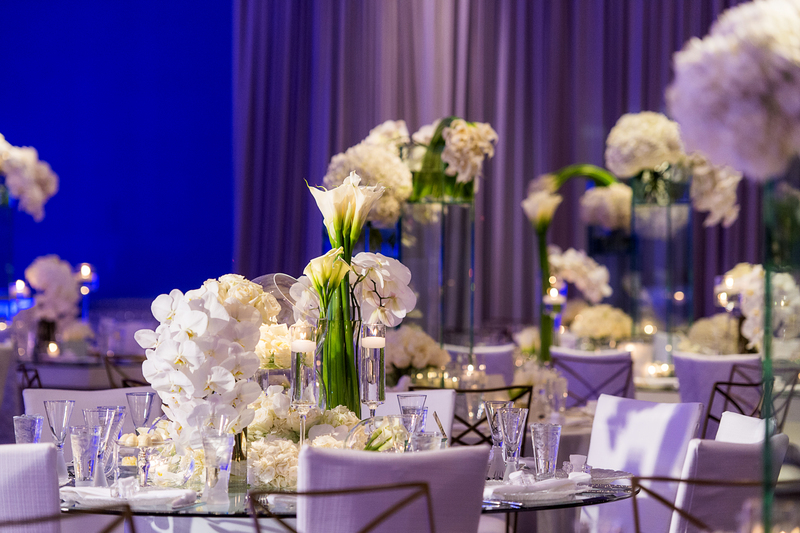 Affair with Flair and DesignWorks flawlessly translated her vision for an elegant, chic, contemporary, yet warm and lighthearted event. 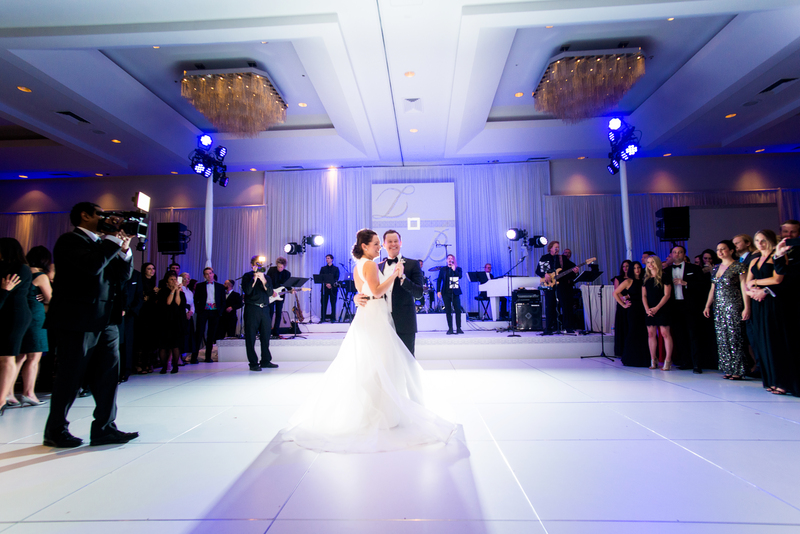 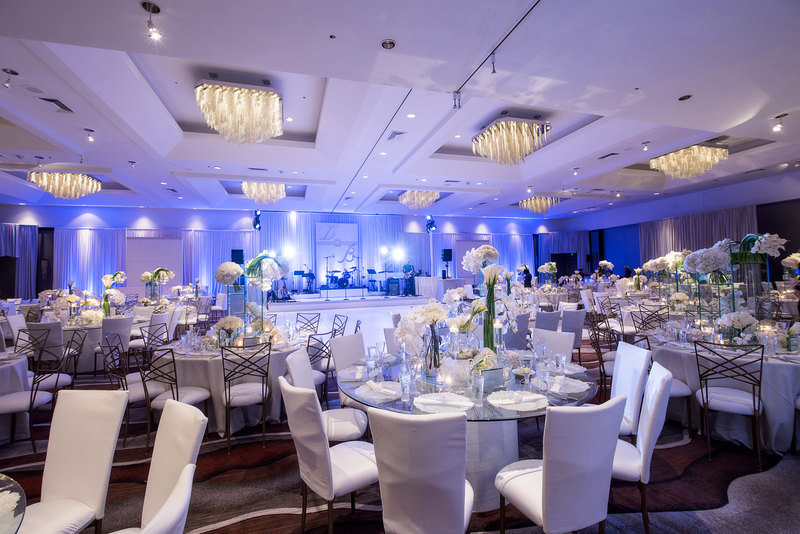 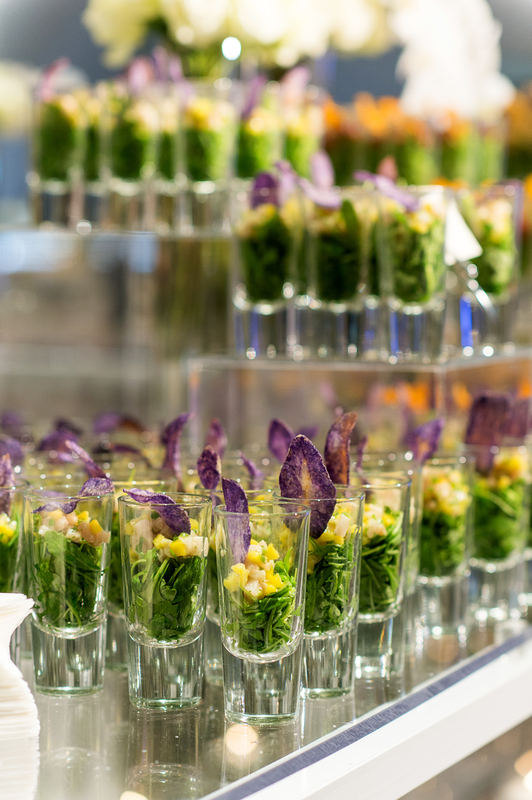 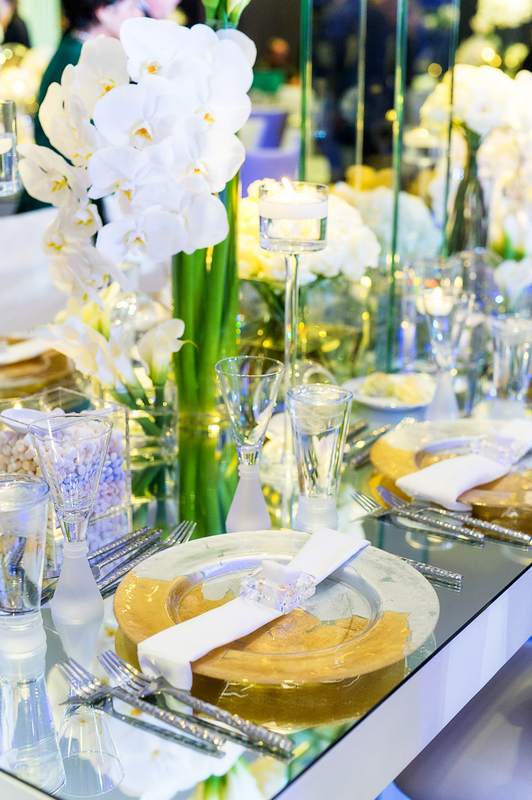 Guests were mesmerized by each exquisite detail, from the pre-cocktail reception accessorized with romantic plexi-glass candle lit bars, to the delectable finale featuring a scrumptious sweets display. 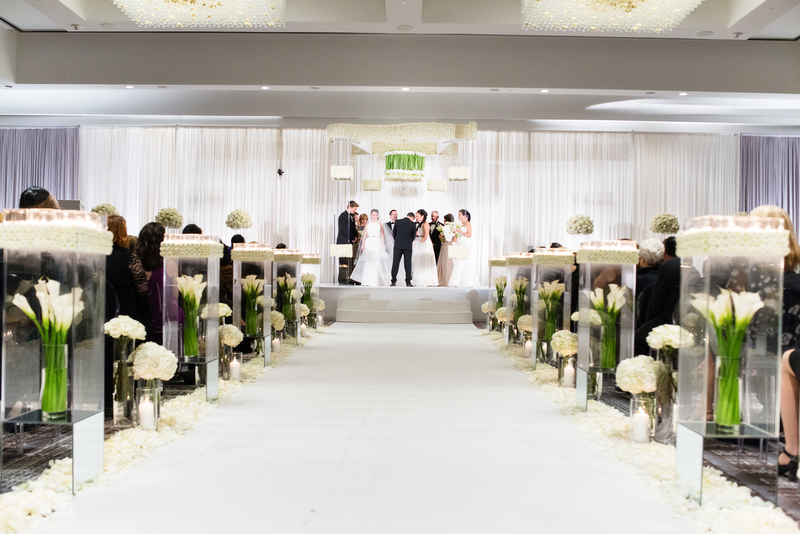 The ceremony space greeted guests with chic details, a muslin runner, and aisle arrangements that were full of buds and floating candles. 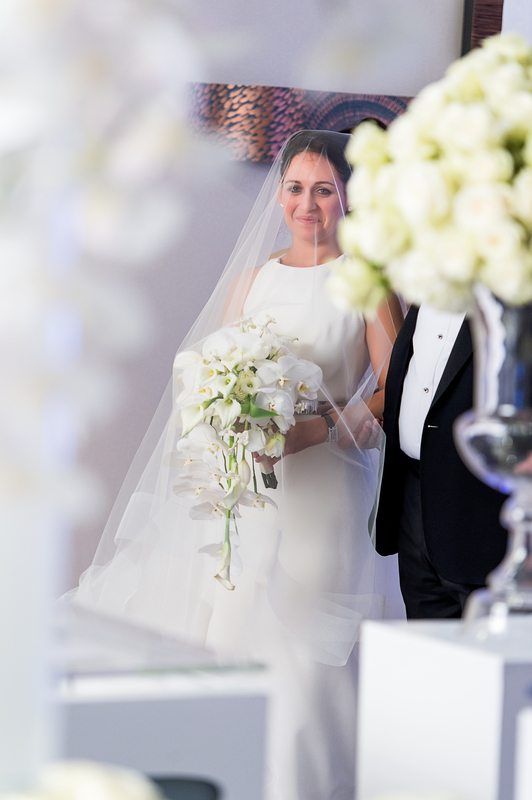 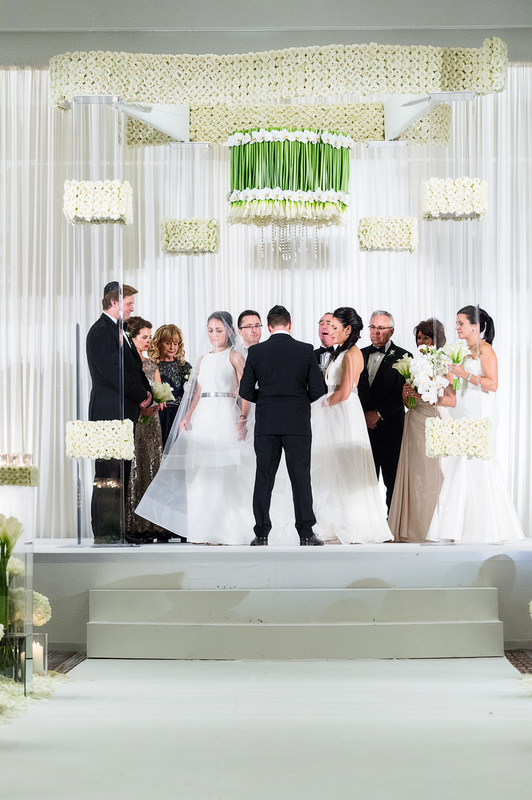 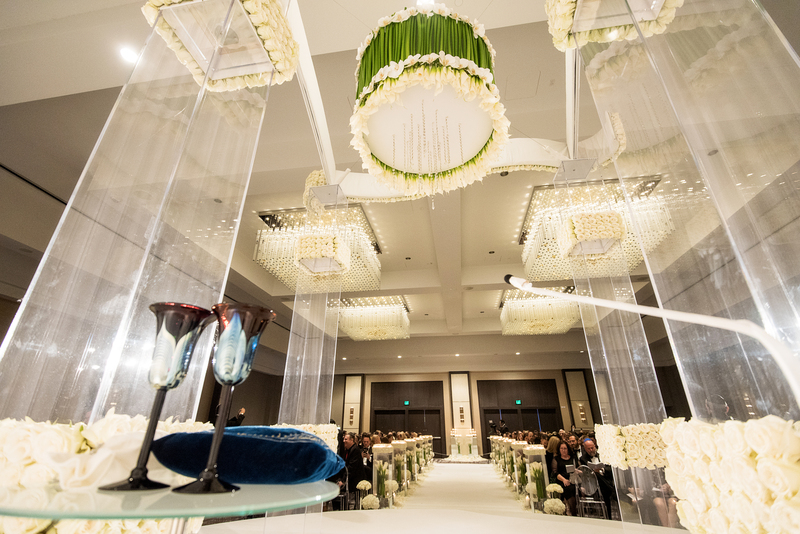 The chuppah was the main decor focal point, composed of four large plexi legs, a floral banded arch, and a floral chandelier dripping with Callas and Orchids. 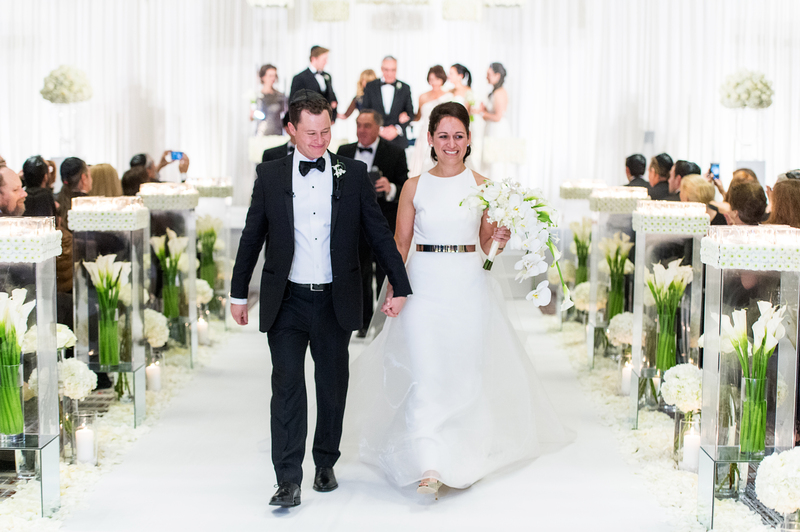 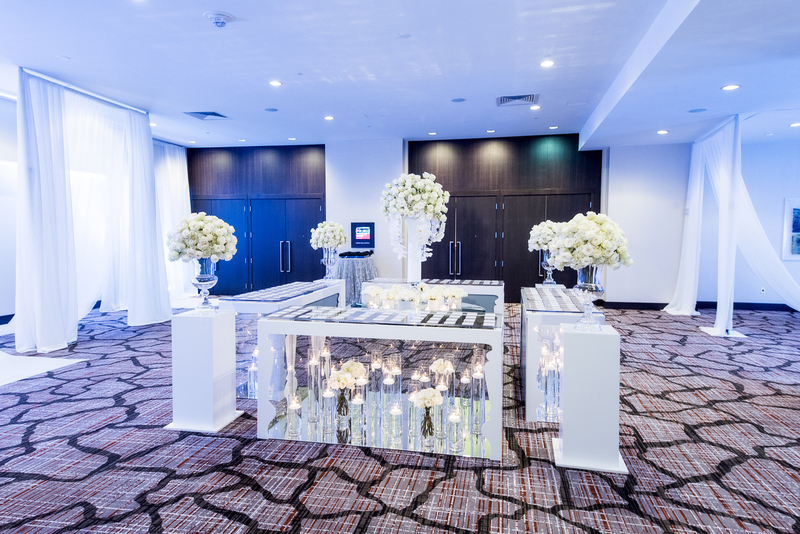 Entering the venue, guests were immediately surrounded again by the clean, white, modern aesthetic. 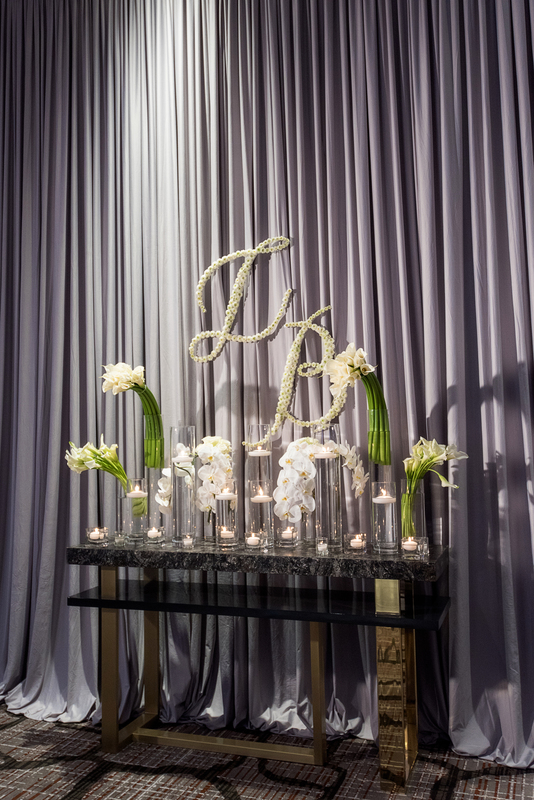 White draping, candlelit bars, and monochromatic florals adorned the entrance and cocktail areas. 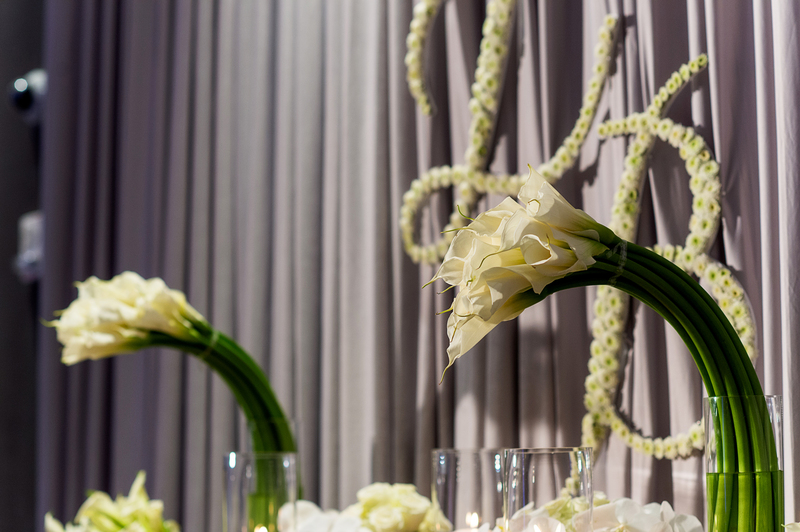 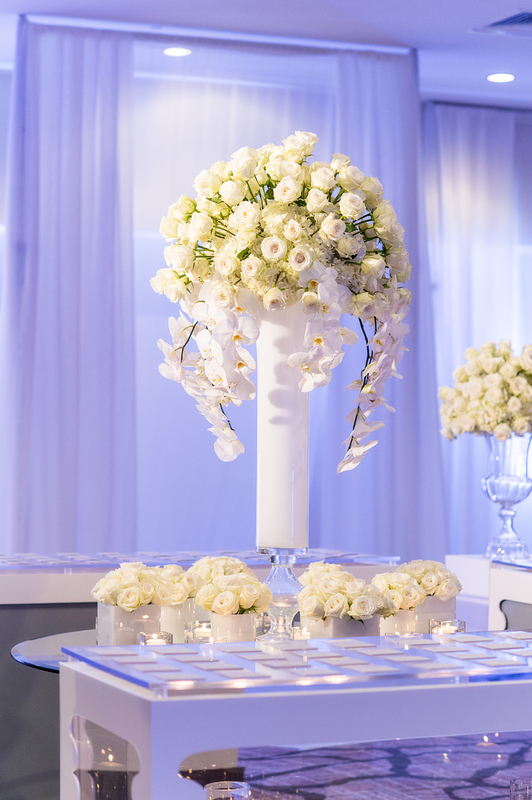 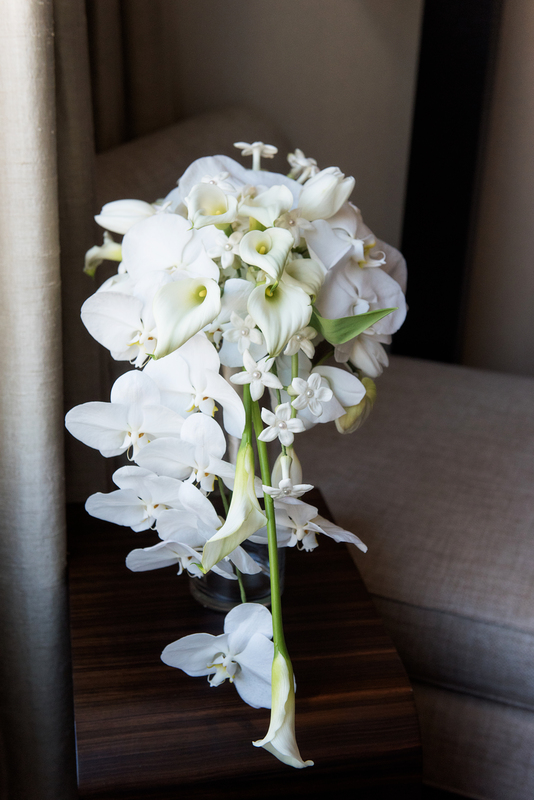 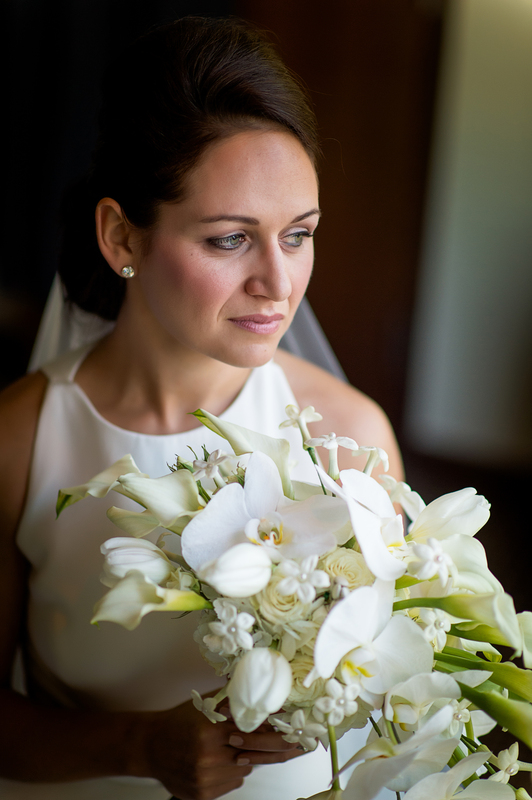 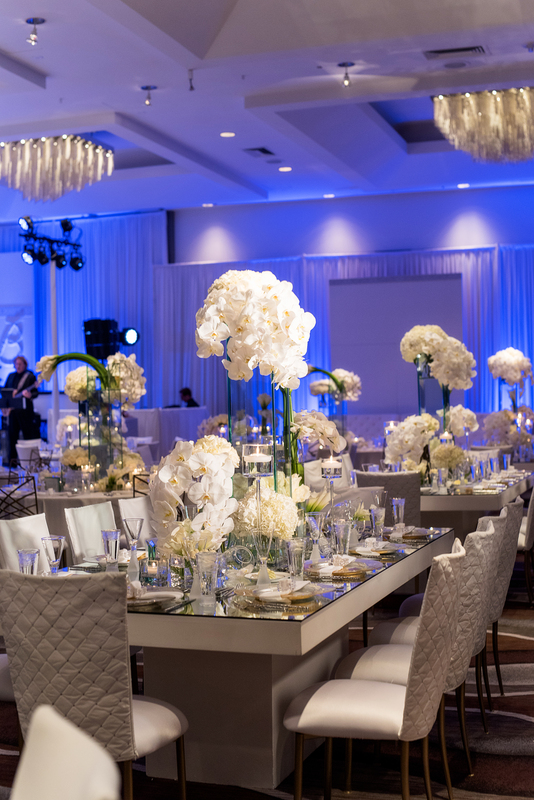 The contemporary florals of orchids, calla lilies, tulips and stephanotis blooms were composed throughout the room on various table centerpieces. 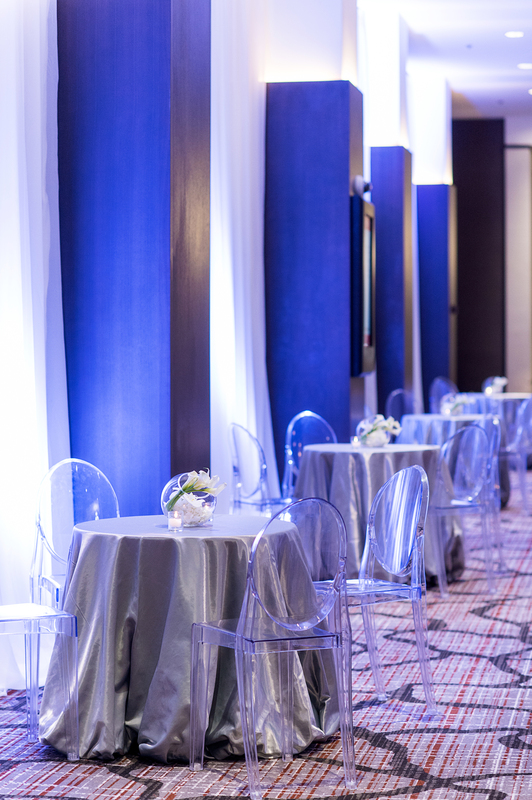 Final details pulled in diverse glass frames, silver rimmed china, and lounge areas for additional intimate spaces.